VIEW, VIEWS, VIEWS + LOCATION, LOCATION, LOCATION = A premium Casa Verde home! Runway views of the surrounding mountains from your private, secure patio and from inside the home. This impressive condo home has the most dramatic and unique view corridor, looking directly into the mouth of Tahquitz Canyon. During hot summer months the sun does not heat up the homes' windows as the suns position is North. Its' location and proximity to the new downtown Palm Springs is prime. Walking or biking distance to shopping, eateries and night life. Updated & light and bright, contemporary styling, washer & dryer inside, updated bathroom and ready to enjoy full or part time. The combined HOA & Lease payment is below what most HOA's cost in Palm Springs. Private covered parking with additional guest parking, pools, tennis courts and even a putting green all intelligently sited at Casa Verde - "Green Home". 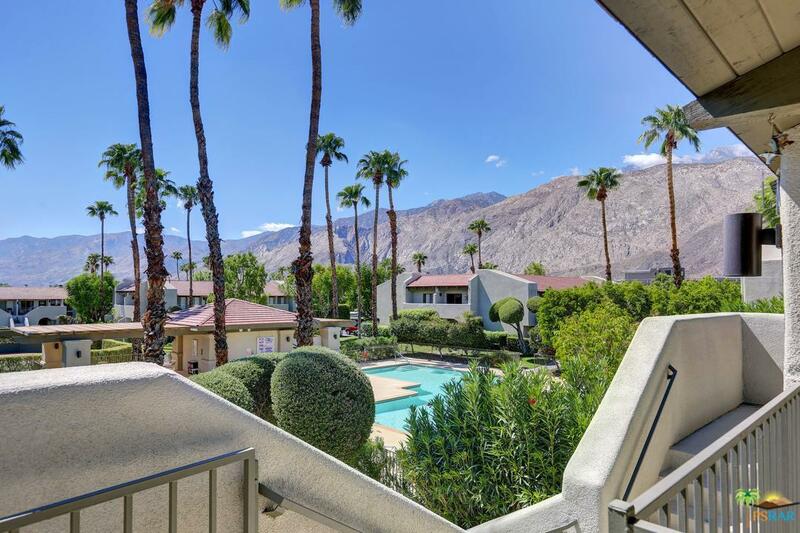 Make this your Palm Springs PAD!